The Conservative Party has succeeded in passing the Anka Act, despite widespread protests around the country. 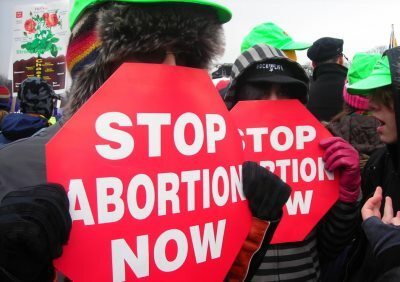 The new law, which has drawn comparisons to Republican anti-abortion initiatives south of the border , has united social justice groups from around the nation in indignation. "Once again, elderly white men are passing laws aimed at harassing young women," says Patrice Samus of the Equality Ascending Institute. "And I hope women across the country will show them the door by voting the conservatives out of office in the next election." The Anka Act mandates that abortion providers must play Paul Anka's 1974 hit "You're Having My Baby" on loop in their wait rooms. The Anka Act was the brain child of Gerald Bunning, the 74 year old Conservative MP who represents the rural community of Oxford, Alberta. "Society has gone down the road wrong," said Mr. Bunning in a press release he issued following the act's passing. "There was a time when men were men, women were women, and everyone loved Paul Anka. I wanted to bring that time back." Mr. Bunning says the idea for the act came to him after a discussion with his third wife, Yvonne. "My darling wife had just read a story about a 17 year old boy in Toronto who had shot his friend in the face after listening to a type of music called dubstep. Listening to dubstep had apparently driven this young child into a violent nihilistic rampage. Yvonne said that if kids these days are incited to violence by the music they listen to, why couldn't these wayward children of sin be won over to decency through the magic of old Canadian pop songs? And it was like she lit a lightbulb over my head. They say that behind every great man is a great woman, and there's some truth to that." After Mr. Bunning's discussion with Yvonne, it occured to him that he could score a victory for social conservatives with the help of Paul Anka's classic hit. "Decades ago, Mr. Anka penned the best anti-abortion anthem ever written. If abortion clinics were forced to play his song every minute of every day, maybe the young women seeking their services would think twice about butchering their unborn children. Maybe hearing Paul Anka tell them that they're having his baby would make them want to keep that baby." When Mr. Bunning consulted with the other members of his party, he found that they overwhelmingly favoured his idea of forcing abortion seekers to listen to Paul Anka. "Most of us conservatives came of age listening to the wonderful songs of true musicians like Pat Boone, Guy Lombardo and Paul Anka. We believe that social policies rooted in the past will help pave the way towards a more moral future. Conservatives love Paul Anka and now women across the great country of Canada will learn to love him too." Patrice Samus thinks the Anka Act is likely to backfire. "It's a tone deaf policy built around a tone deaf song," says Patrice. "This will cost the Conservatives at the ballot box. I think the Anka Act is the most patronizing law that has ever been passed in the history of our country, and that's saying something."